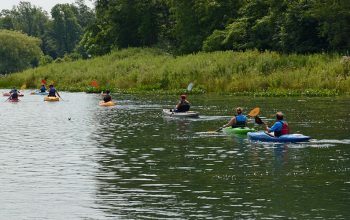 Canoes and kayaks offer great recreational, nature and fitness experiences. Our commitment is to training those who will help others to have richer and safer paddling experiences. on the water — in and out of their canoe or kayak. the Liebel’s have over 25 years of paddling experience – with kids, dogs and each other. Interested in developing your skills or becoming an instructor? recommended instructors, outfitters and boat builders. The reasons to pursue certification are vastly different for each Instructor Candidate, however what every person takes away from the certification workshop is remarkably similar. Thinking about becoming an Instructor? 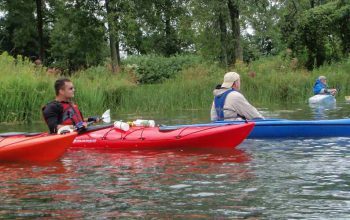 The assessment process provides insight into your current skill level as defined by the American Canoe Association. Assessments are non-coaching sessions. We have combined our years of paddling and teaching experience with the ACA approved curriculum to design learning experiences that are fun, informative and challenging. Over the years we have worked with and/or certified many people. Here is a list of those we highly recommend. Tina and Kelly are offering Beginner Kayaking Classes. Thursday Evenings and Saturdays. Registration Required. The 13th annual “Paddles Up Niagara” will take place in the waters off Grand Island, July 28, 2018, 7:00 am to 2:00 pm. Join Buffalo Niagara Waterkeeper on one of several tours! 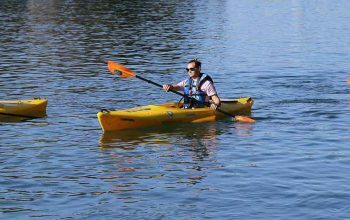 Tours are lead by ACA and Wekanu Certified Kayak Instructors. in a flatwater paddling environment.